I debated whether or not to call this post “battle” or “blip” since in the grand scheme of life, the 4 to 5 weeks that my face was seriously affected by Bell’s palsy versus the amount of time others have had to live with it really was just a tiny snippet of time. Still, and for those who have lived through it or lived with it, each day that your face doesn’t work feels nothing short of a lifetime. 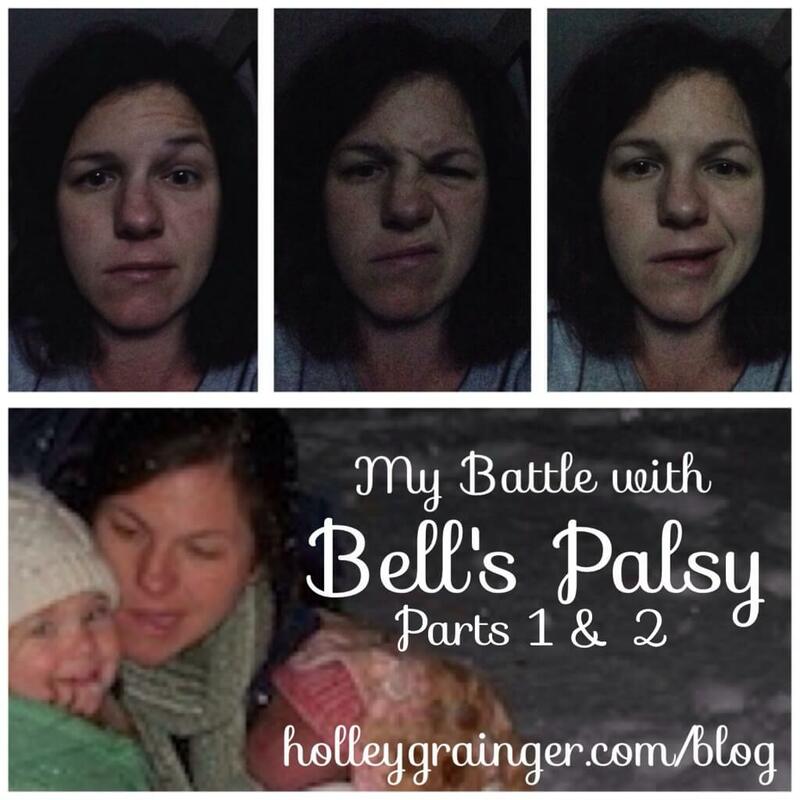 I was diagnosed with Bell’s palsy on February 3, 2014, when my newborn daughter, Frances, was just 6 days old. During the last few months of her pregnancy, I battled high blood pressure (as I had with my first daughter) so on the evening of my diagnosis, when my blood pressure shot sky high (180/110ish) and my face stopped working, I truly thought I might be having a stroke. 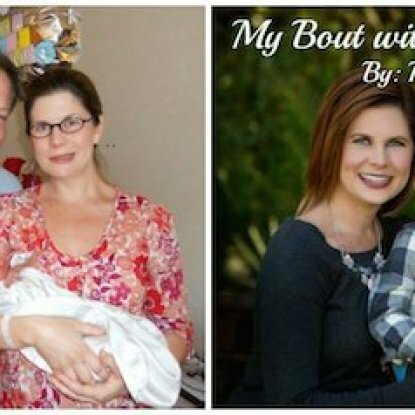 The day I was diagnosed was not much different than the other 5 days of her life—sleep, nurse, change diapers, repeat. My mom had just left my house around 5pm when I went out to whistle in the dogs. However, I wasn’t able to whistle. I was having some tingling and twitching in my face and I realized I was unable to pucker my lips. I started wondering what in the world was going on. 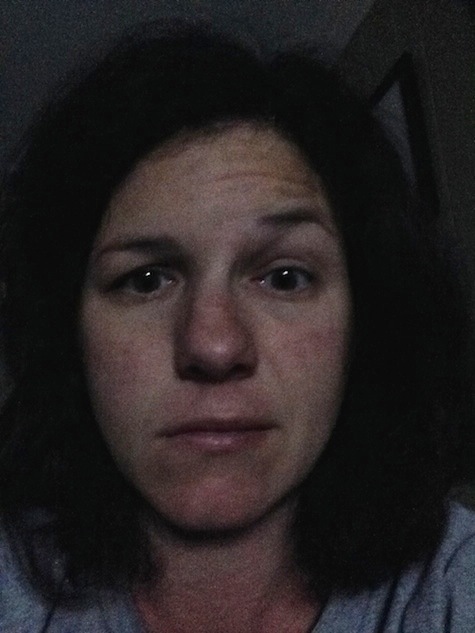 I knew I had felt a bit off all day—slight headache, a bit dizzy, extra tired, bee sting feelings in my face, eye twitching, cranky, etc—but I didn’t think much of it since I was so incredibly fatigued as any new mother would be. The inability to whistle certainly threw me for a loop but when I looked in the mirror a few minutes later, I noticed my right eye drooping and unable to close, the right side of my forehead not wrinkling the way it normally does, and the right side of my mouth not holding a smile. The overall feeling emotionally was very surreal and extremely scary. I also had intense pain and ringing in my right ear. I sat down, tried to relax for a few minutes and then took my blood pressure (I have a cuff at home since I had to monitor my blood pressure during both of my pregnancies). The number was sky high—I don’t recall exactly now but somewhere around 180/110 or maybe even a little more. It was around that time (7pm-ish) that my husband, Brent, got home. We called my OBGYN and were instructed to go immediately to the emergency room. Thankfully, our parents live close and Brent’s parents were able to quickly make it to our house to keep the girls. I’ll never forget just how eerily strange and surreal the feeling of packing up your breast pump and heading to the emergency room because your face no longer works was. I really was having one of those, “what the heck is going on” moments. Once we made it to the emergency room, it was quite the hurry up and wait scenario (as to be expected). Fortunately, they got me triaged quickly only to verify that my blood pressure was indeed still super high. We then waited back in the freezing cold lobby for what seemed life forever. (Side note: Frances was born during the mega snowstorm that shut down the south—I know…even an inch of snow shuts down the south but this was the granddaddy of them all.) We were there so long, in fact, that I had to set up shop on the bathroom floor to pump—not fun! Let’s just say that the milk was immediately discarded (such a loss of liquid gold!). Long ER story short, I finally made it back where they took chest x-rays, a CT scan and an EKG to determine that what we were afraid may be the worst, a stroke, had indeed not happened. PRAISE THE LORD! By this point, the meds had gotten my blood pressure under control but the ability to move my face was continuing to decline. At that point in time, I remember thinking it was the left side of my face not working but the whole thing was tingly and nothing was moving where or how it should. 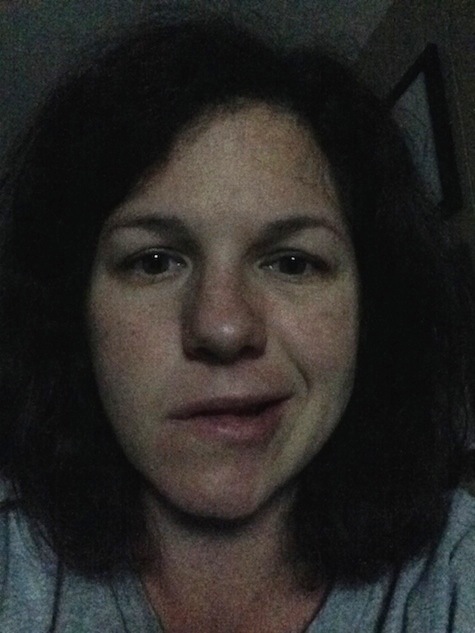 I’ll never forget how mad…make that furious and highly ticked…I was at the ER doctor when he told me that I could go home (at 2am) and was “just developing a nice case of Bell’s palsy.” Well no kidding, doc, thanks! Let me tell you, if you’re ever going to tell someone potentially life changing news, don’t shrug it off like it isn’t a big deal. Selfishly, I immediately thought, worried, and wondered what would happen to my face. Would it be “stuck” for lack of a better word like this forever? Would my clients not hire me or cancel our contracts because they didn’t want a spokesperson who didn’t have a functioning face? Is it going to get worse or spread to both sides? Will it go away? Is there anything to reverse it?” All of these questions and more flew through my mind after his les ze fare diagnosis and casual exit. At this point, there was nothing more to do except go home and wait until 8am to call my OBGYN. The difficult thing about Bell’s palsy is that it is almost impossible to determine what causes the onset. Bell’s palsy is triggered when the facial nerve in the ear becomes inflamed or damaged as a result of a virus in the body becoming active. This is usually caused when the body undergoes a tremendous stress like the flu, pregnancy, child birth, a car accident, divorce, loss of a loved one, etc. The best way I was ever able to describe the onset is that it is similar to shingles.. The virus was dormant in my body but once it became active, it wreaked havoc. I had heard that Bell’s palsy was often diagnosed in pregnant women so to be diagnosed post partum was a bit unusual. However, based on speculation from a few doctors, the combination of my high blood pressure, some complications during child birth, the stress of the snowstorm and having Ellie (my 2 year old) stranded at school, and just being pregnant in general may have offset it. Once the facial nerve is damaged or dies, it takes at least 2 weeks to (hopefully) regenerate and little no movement is expected before then. 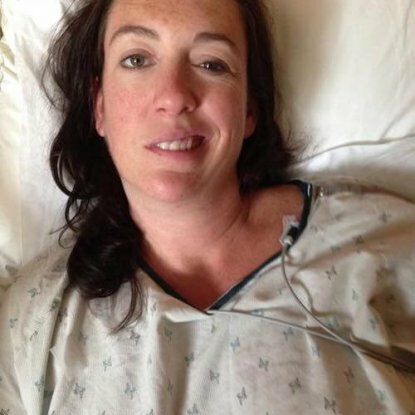 The following day, a completely freaked out (and exhausted) me headed to my OBGYN to determine next steps…. Check back on the blog later this week for the remaining parts. What a frightening experience. I’m so thankful all is well now. I’ve heard of this condition before but really didn’t know much about it. Thanks for shining some light and thanks for being so open about your diagnosis. I’ll do what I can to help you educate others. Thanks, Liz! I think the most important thing is just raising awareness and creating a place in the blogsphere for this topic so that when others do a search (like I did), they won’t be terrified of what they find. Appreciate you sharing! McKenzie, I hear you on the patient care! Maybe some doctors just get callous but it is always so important to remember that while it may not be new to them, it is someone else’s life being seriously altered. I hope you’re feeling better from your health scare! Holly, What a brave post. My younger sister experienced this in her late teens. I recall my parents concerned she had a stroke. The paralysis in her face was only temporary and you would never know today. I wish you the same good result. I will continue to follow your story ; this is educating. Thank you for sharing. That is exactly what we thought was happening to me at the time–very scary. I am quite fortunate that the paralysis went away and left very few side effects (most of which only I can notice). Please continue to follow along and give me a shout if you have additional questions. Thank you so much for sharing. I’ve had Bell’s Palys since I delivered my son 8 months ago tomorrow. My face was just like you described. Thankfully it’s doing so much better but I still haven’t recovered fully. How long did it take for you to recover fully and what meds did you take? Thank you again for sharing your story. Sometimes I’ve felt so alone in this struggle. Nice to know I’m not the only one who’s gone through this. Thank you for your post I’m currently going through this now and feel alone and stressed out!! First of all what happened to me was ..
I’m 41 year old male been working none stop and booked a Friday off work to take kids to pepper pig world. That Friday I had a earache and a bit off Ballance didn’t think anything of it . Went bed woke up 5:30 AM thinking I’m having a stroke so scary . Got rushed to resus department and they carried out checks and said it’s Bell’s palsy . I never even heard of it . They just sent me home saying nothing more about it jus take these meds and book in a CT scan which I’m still waiting to have . I feel constantly sick if I move I can walk far and my right eye won’t shut and I look like I’ve had a stroke . I feel so embarrassed to look in the mirror and feel I’ve let everyone down . I’ve been signed off work for one month and feel I’ve met them down too . I continued onto pepper pig world because I didn’t want this to effect my kids but had to keep sitting down . I can’t find hardly any actual information what to expect what I’m going be going through etc it’s very scary as I don’t know when I’ll be able to move and feel normal if ever .. I just wanted to say it’s only been a week but feels like a lifetime I can’t move as I feel really really sick . Thank you for writing this blog it really does help others .. I NEED HELP…. MY HUSBAND HAVE BELL PALSY HE BEEN FIGHTING THIS SINCE APRIL 3 2016 AND HE STILL IN PAIN IN AREA IN HIS HEAD HE HAVE BEEN HAVING HEADACHS IN THE FRONT OF HIS HEAD AND IN THE BACK OF HIS HEAD HE ALSO WOULD GO TO SLEEP TO A HEADACH AND WAKE UP TO A HEADACH ALSO HE NEVER HAVE A CAT SCANN ARE A M.R.I. HE HAVE BEEN GOING TO THE DOCTOR AND THEY JUST KEEP GIVING HIM PAIN PILLS SO WHAT IS THE NEXT THING YOU THINK WE SHOULD DO ABOUT THIS THIS IS GETTING OUT OF HAND IN MY EYES I DONT WANT TO SEE HIM LIKE THIS AT ALL HE BE IN SO MUCH PAIN PLZ GIVE ME SOME FEED BACK ON THIS IT WOULD HELD ALOT THANK YOU SO MUCH GOD BLESS TALK TO YOU SEE……. He needs to be taking steroids and antivirals but a doctor will have to evaluate that he indeed has Bells Palsy and prescribe. Suggest he sees an ENT that specializes in Bell’s Palsy since it is more the facial nerve that is the issue. Is his face paralyzed or does he have movement? So thankful to find this article. Just diagnosed five days ago… My dr gave me worlds quickest diagnoses, wrote script for antiviral, and said I could get electrical stimulation on my face…and sent me on my way. Felt like he verbally patted me on the head, and sent me on my way! No mention that I might experience a lot of pain! I then went home and read I should possibly/probably could benefit from steroids. I called dr office and requested that I get prescription for steroids. I also called Myofascial therapy… And set up appointments for that. So glad that people have posted their experiences… Otherwise I would be feeling hopeless… But I do feel encouraged. 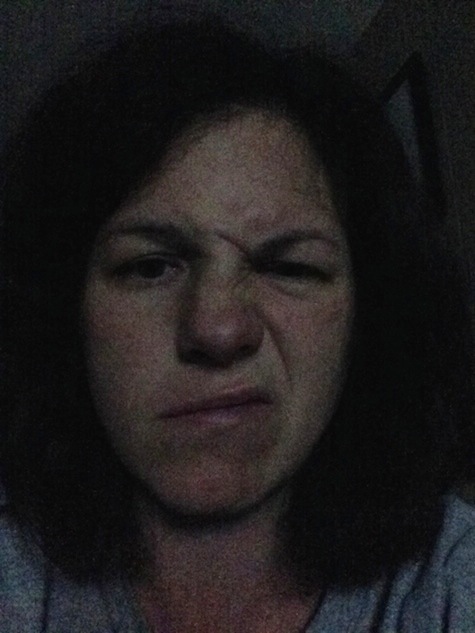 I do need to decide if I should do the electrical stimulation or acupuncture….and when? That’s a tough call on the stimulation/acupuncture. I have talked to many different people and specialist with differing opinions. If you are newly diagnosed, I would highly recommend the steroids as well as the antivirals. That’s a great place to start. Next is rest, pain management and eye care (make sure you read all 5 of my BP posts). I experienced severe pain and it was terrible. I only took advil to manage but it was bad. I never knew I had Bells Palsy after more than 30 years. I only went to the hospital for other medical checks before I was diagnosed of it. Luckily I searched the internet to confirm my case. Can I still be recovered from this ailment? THANK YOU. That really is hard to say. 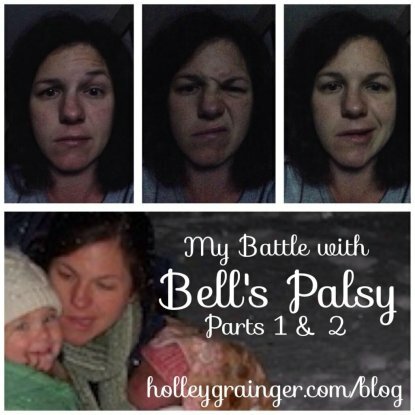 I know every case is different (which is the frustrating thing about Bell’s Palsy). Hopefully, a doctor will be able to help you!